It’s been a few weeks since we returned from our whirlwind trip abroad, one of the early highlights of which was certainly WarPigs Brewpub in Copenhagen, Denmark. 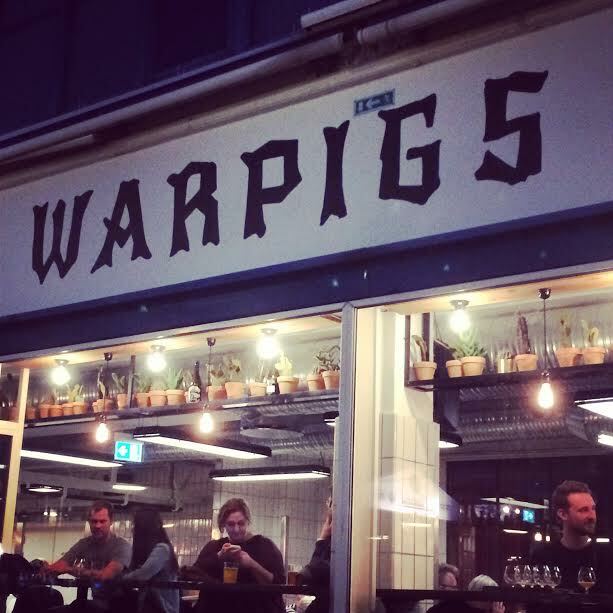 Birthed as a collaboration between Indiana’s 3 Floyds and hometown hero Mikkeller, WarPigs is the latest addition to Copenhagen’s vibrant craft beer scene. Like most spots in Copenhagen’s thriving Vesterbro district, the look of WarPigs is impossibly hip, combining elements of Scandinavian design with some signature beer hall aesthetics. The brewpub was our first stop in Copenhagen after dropping our bags off at our nearby hostel (also stupid hip). One of the perks of visiting in the summer meant that the sun didn’t set until until around 10pm, meaning there was still some light in the sky as we navigated our way through the unfamiliar streets late into the evening. When we arrived at WarPigs, there were dozens of bicycles posted up out front and dance music was wafting through the night air. Well, actually that music was coming from a group of a local dudes across the car park who were break dancing around a ghettoblaster mounted on one of their bikes. Good start, Denmark. WarPigs’ food menu boasts “Texas Style BBQ,” but we arrived after the kitchen had closed, so we can’t attest to whether it lives up to those lofty Austin expectations placed on smoked meat. 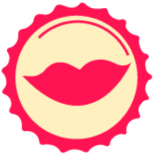 What we can however vouch for is the quality of the beer. On our trip there were around 10 house beers available, with additional guest taps from (not surprisingly) Mikkeller and 3 Floyds, as well as (very surprisingly) breweries like Cigar City. We each started with a flight of house beers, which gave a great overview of the array of options available. Aggressive, yet extremely well done, both breweries’ influences on the brewpub were clear, especially when it came to the prevalence of double and triple IPAs on the menu. The only aspect of WarPigs that wasn’t thoroughly enchanting were the prices. While they seemed relatively doable for the Danes around us, the exchange rate made our sad American dollars pretty weak by comparison. The most inexpensive beer on the menu translated to about $8 USD, with the most expensive approaching more like $14 USD, pretty pricey even by craft standards. The upside of this was that we were able to show some amazing restraint and pacing not often exercised by our thirsty gullets. So, if you plan to make your own visit to WarPigs (or Denmark in general) make sure to start depositing funds in that piggy bank labeled “beer money” now. We promise, it’ll be well worth it.